Published: March 21, 2015 at 01:56 p.m. 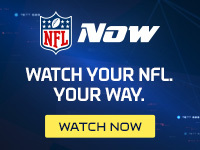 Updated: March 21, 2015 at 02:19 p.m.
Brandon Bostick says he's moved on from the NFC Championship Game and his time with the Packers. The tight end is now a member of the Vikings, a team that will give him two chances per year to prove to Green Bay it made a mistake in letting him go. But try as he might, Bostick will never completely distance himself from his failed onside kick recovery attempt against the Seahawks on Jan. 18. He received death threats in the aftermath of the overtime loss, and you can safely assume he'll continue to hear about the play from opposing fans as long as he plays football. Bostick said one person who helped him get past his gaffe was Earnest Byner, the former NFL running back whose own title game gaffe is famous enough for its own Wikipedia entry. Byner reached out to Bostick after the game and has been in touch with the tight end ever since. "(Byner) has been a life coach for me," Bostick told the St. Paul Pioneer Press. "I didn't realize how big of a mistake this was." Said Byner: "When I saw an interview he did three days after the game, and he spoke about feeling the weight of the world on his shoulders, I understood that feeling. I do not want him to go through the process alone." Byner, 52, points out that Bostick has faced scrutiny that Byner never did after his fumble doomed the Browns to a loss to the Broncos in the 1987 AFC Championship Game. "It didn't hit me like it hit Brandon," said Byner. "The social media network that is so rampant wasn't there. The weight didn't hit me until all the reminders I got, from fans, media -- one of my teammates even told me a joke about the fumble." Byner managed to survive the backlash and eventually won a Super Bowl with the Redskins in 1992. It would be nice to see Bostick get his own happy ending.